Like many countries and territories of the former USSR, Moldova suffers from the large quantities of completely bogus philatelic, material bearing the names "Gagauzia", "Gagauzian Republic", "Гагаузия", "Komrat", "Chadir Lunga" and others. This material is being printed and circulated to unsuspecting collectors all over the world. 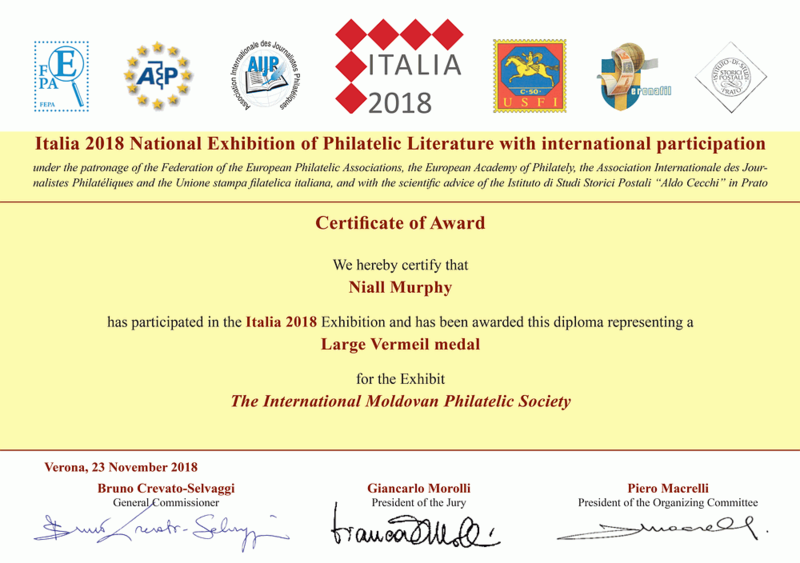 Such material is entirely worthless in philatelic terms and collectors should be made aware of this fact. Gagauzia is a region in southern Moldova. It is primarily inhabited by ethnic Turkish Christians. In or around 1995 there was a movement to gain a special semi-autonomous status for the region within Moldova and this was granted some years later. During 1995 a number of Moldovan and former USSR stamps were overprinted to appear as though they were issued by Gagauzia as an independent state. 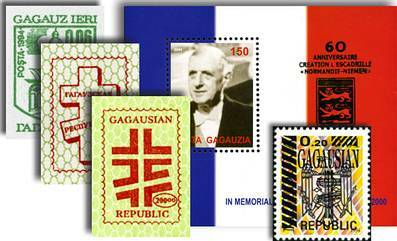 There were also stamp "issues" featuring original designs bearing the name "Gagauzia". ALL of this material is completely unofficial and bogus. At no time did Gagauzia operate a postal service independently of Moldova. At no time did the Moldovan post office issue stamps for use in Gagauzia. Some postally used covers have been seen bearing Gagauzian stamps, but these are all bogus also. These stamps were all privately made either for propaganda purposes or in the case of more recent products, purely for speculative reasons.